Here and Not-Here | From the Seasonally Occupied Territories . . .
My editor at the Women’s Review of Books needed the scan of an album cover to accompany my review of Alix Dobkin’s My Red Blood: A Memoir of Growing Up Communist, Coming onto the Greenwich Village Folk Scene, and Coming Out in the Feminist Movement (wonderful book, by the way; Alyson Books, 2009). My scanner couldn’t oblige, and calling around I couldn’t find anyone who could make a print-quality scan from a 12 1/2 by 12 1/2 inch original. UPS to the rescue. I sent the album cover — three of ’em, in fact — off yesterday afternoon. No island is an island, and UPS, along with the other freight carriers, is part of the reason. 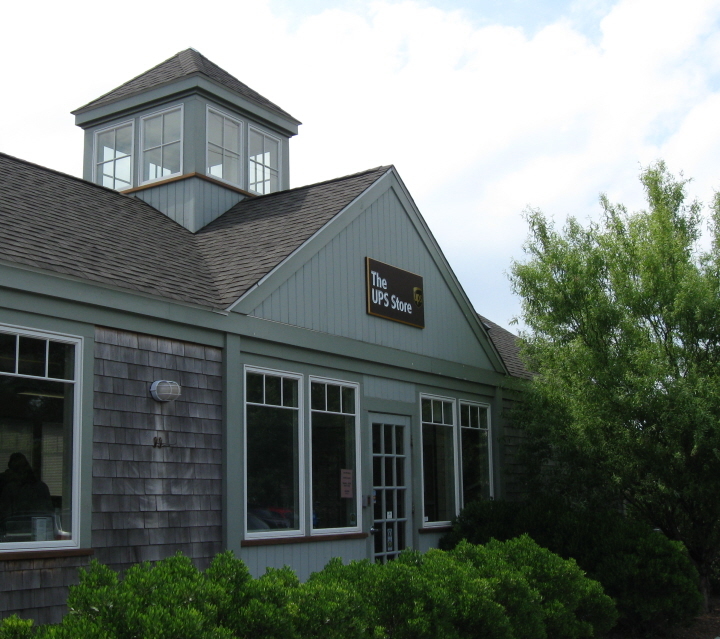 The UPS Store arrived on Martha’s Vineyard in 2005; the big brown trucks were familiar sights on island roads for decades before that. By 2005 at least half my editing jobs were arriving electronically, but New York trade publishing was and still is very much wedded to paper. My trade clients overnight me the manuscripts, I edit them with red (occasionally green) pencils, and overnight them back by the appointed deadline. Before the UPS Store, I drove to the Mailroom in Edgartown to return manuscripts to a publisher client that picked up the cost for FedEx. The rest of the time I used the U.S. Postal Service’s Express Mail. This made my clients nervous at first, but Express Mail was close to drop-dead reliable and they got used to it. Then a precious parcel arrived in New York several crucial hours past the guaranteed time, and in trying to ascertain what had gone wrong — and get a refund — I got into a phone squabble with a snippy USPS employee in Providence. I didn’t get my refund, but the UPS Store was in place by then so I haven’t used Express Mail for work again either. When my right retina detached in August 2004, I’d been off-island exactly once in the preceding two and a half years, and that was a day excursion by small plane to a horse event in New Hampshire. My friends were horrified. I was a little surprised myself. But I wasn’t exactly cut off from the outside world. I’d been online for ten years by then and in regular communication with writers and editors, horse and dog people, from literally all around the world. And for five years close to 100% of my livelihood had been coming from off-island, via the internet, UPS, FedEx, and the U.S. Postal Service. I was crossing Vineyard Sound several times in a single day, all the while my physical self remained at home. I believe that being grounded in a place, rooted in a place, knowing a place, and — maybe most important — letting yourself be affected by a place are all incredibly important. I belong here more deeply and fully than I’ve ever belonged anywhere. But still I spend plenty of time on the virtual plane, involved in lives that are taking place in Ireland, Ontario, Indiana, Utah, Australia, and a few dozen other places. It’s a delicate balance I’m trying to maintain, here and not-here at the same time. 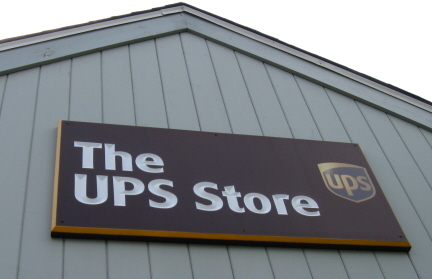 This entry was posted in Uncategorized and tagged Alix Dobkin, sense of place, UPS, UPS Store. Bookmark the permalink. Funny (hah) thing, there was from 1971 until fairly recently a vineyard, Chicama Vineyards. The founder-owners were great — the wine not so, but it got better over time. 🙂 First George Matthiesen died, then his widow, Cathy, did. Then island reality kicked in: one of their children had been very involved with the vineyard, but she was getting tired, and she had siblings who understandably weren’t willing to forgo the income that selling the property would bring. So the property was sold to the filthy rich summer people who had already bought the filthy rich horse farm next door. The Matthiesens had always encouraged walkers, cyclists, and horseback riders to use the dirt road through the vineyard, which was an easy way to get from West Tisbury trails to the state forest (4,500 acres of trails, fire lanes, bike paths . . .). The new owners, the Goldbrickers (not quite their real name, but close), almost immediately put up gates and fences so no one could get through. I was one of the last ones to make it through on horseback. P.S. Sharon: You must check out the Chappy ferry. Chappaquiddick (yeah, *that* Chappaquiddick) is an island, and the only way to get there is by boat. The ride takes about five minutes and the ferry (think “flatbed trailer w/o wheels”) takes three cars at a time. A few years back a somewhat inebriated driver whose car was first in line was playing with her steering wheel, right, left, right, left. Loosened the blocks in front of her tires and into the drink she went. Fortunately she and her passengers managed to get out safely. What? Are you trying to get me scared of ferries now? The mud of the place huh Susanna? I think the transplants are more aware of it than the natives. I always get a lump in my throat as I drive through Woods Hole to the ferry. Letting yourself be affected by a place is such an important distinction. I’ve lived in places where I didn’t and places where I did and do. I don’t with Santa Fe, I do with/in the Sangre de Cristo mountains. It’s all the difference. I wonder what it has to do with. The mountains are good to me. The sky is what one lets affect one in Santa Fe, and the sand and stones and wild areas just outside of town where our dogs can run and run. Thanks for your inspiring piece. The surprising thing to me is I am most affected by places and aspects of places that are wonderful to me. I didn’t know we got to pick and choose. 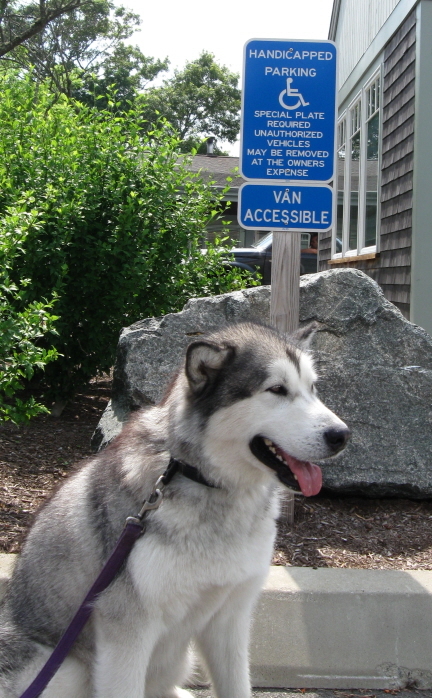 I love hearing about Martha’s Vineyard, Susanna. I’ve never been there, but it’s always been on my wish list of places to visit. I can’t believe you still have clients using hard copy for copyediting, although my larger New York publishing clients were the last to change, too, I guess.